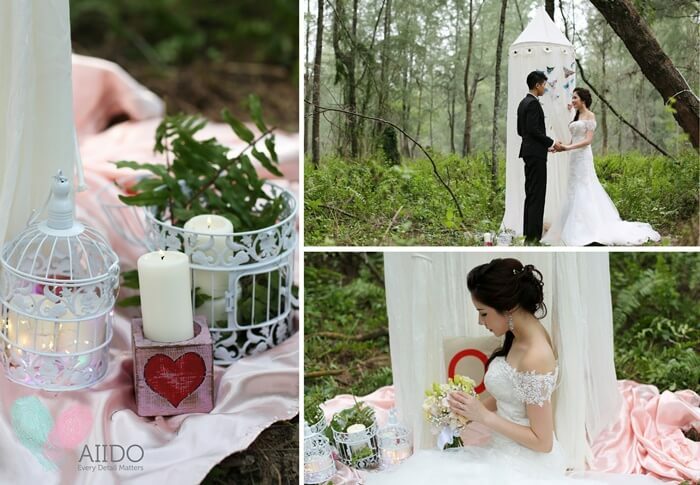 Singapore Wedding Portal Aiido Gives You An Unforgettable Experience! 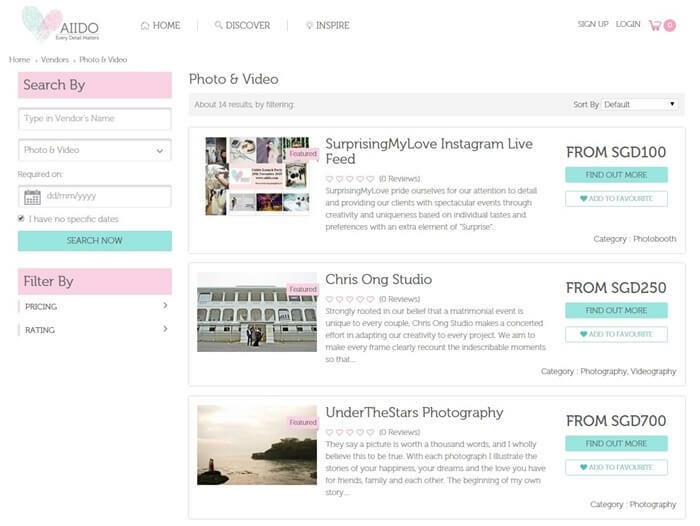 New Aiido Wedding Portal Aims To Give Singaporean Couples An Unforgettable Experience! There are a myriad ways a wedding can go wrong: the DJ screws up the playlist, the veil goes missing or God forbid, the groom pulls a Ross Geller and says the wrong name during the wedding vows. You’ve heard of these nightmares and desperately wished it wouldn’t happen to you. After going through an awful experience and hearing the repeated problems faced by her close friends, Lavin Ong has had enough – along with her business partner, Amelia Chia, decided to get to the bottom of it, come hell or high water. To make sure that weddings deliver the best experience to all newly weds, Lavin and Amelia launched a one stop wedding portal Aiido – a name drawn from the Chinese character ‘爱’, which means love, and the marital vow ‘I Do’. 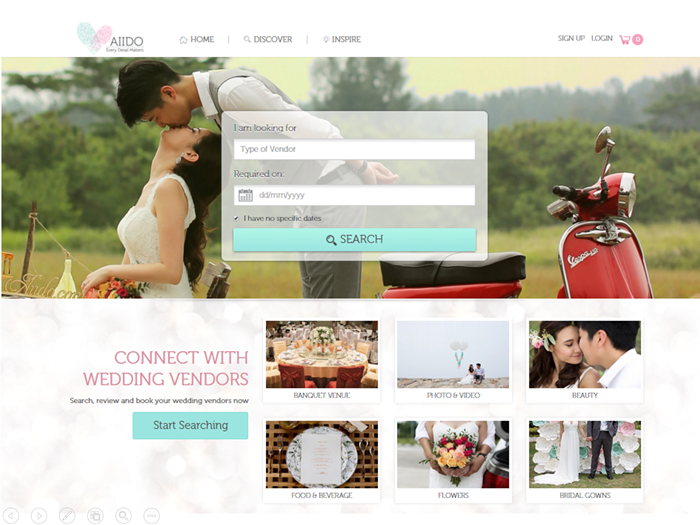 Aiido is a new age wedding portal aims at couples looking for everything wedding related. 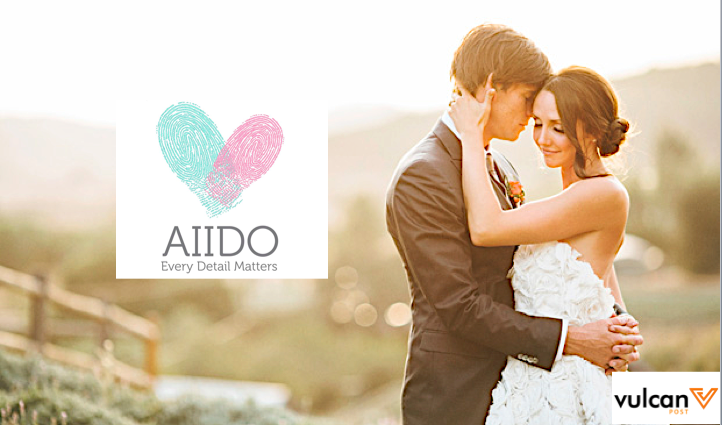 What makes Aiido different from most wedding services is its easy accessibility, by listing down the venue or service availability and their rates so that you can have the most updated information at your finger tips. This also means that you don’t have to experience the daunting process of visiting dozens of websites just to book a wedding photographer. When we spoke to Lavin in an interview, she was lamenting the lack of transparency that occurs during a wedding preparation. The entrepreneur started her career with Singapore Airlines, before switching gears to the banking industry. It was a stint at a Japanese Developer where she met Amelia. Spoken like a true expert, indeed. Without question, with experience comes an unforgettable moment. The team behind Aiido made a bold move; they ditched the conventional concept of the ‘Yellow Pages’ directory. Instead of having vendors pay to have their business listed on websites, Aiido kicked it up a notch, by offering free listings to those who meet their business model’s criteria. “For consumers, Aiido places strong emphasis on transparency and quality. Wedding vendors can be booked instantly with real-time availability provided, bringing forth booking confidence, convenience and ease,” and hence providing a win win situation to both the vendor and the soon to be newly weds. Come 2016, Aiido will focus on building a stronger brand identity. A mobile app is also reportedly in the works. “With the increasing of smartphones usage, we intend to penetrate and improve on our mobile user experiences, creating greater convenience and ease,” Lavin told Vulcan Post. Aiido is offering Vulcan Post readers 15% off their deposit with a minimum package purchase of $100, with the code VP15. This code is valid to use and expires on 31st March 2016 on Aiido.